Japan is known for its outstanding food, and a must-try experience is a Japanese cooking class. You won’t have to worry about searching in shops for unusual ingredients, as all ingredients are provided. 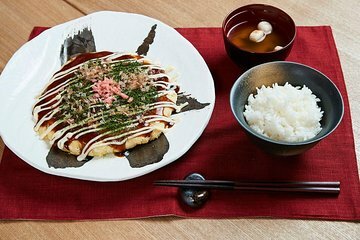 This cooking class will teach you how to make Okonomiyaki--one of Osaka's favorite street foods. You'll learn skills for life, making it a useful as well as a fun experience.